Fieldtex Products stocks a vast array of hardware. 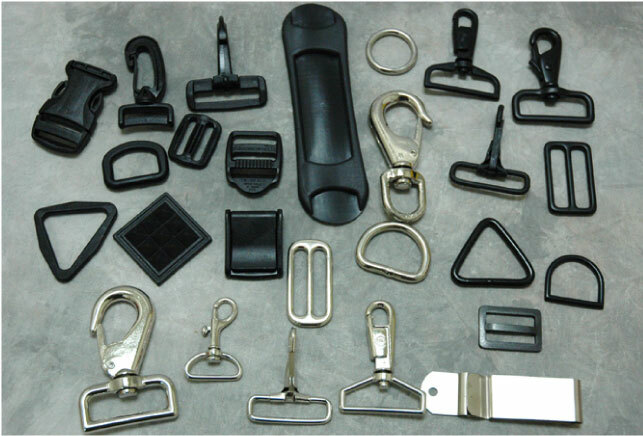 We have Nexus brand plastic (acetal) D-rings, side-release buckles, retainers, snaphooks both swivel and stationary. We also carry metal hardware in both nickle and black along with some cadmium. There is also an assortment of shoulder pads and fabric, id tags, luggage tags, gromets, rivets, glove fasteners and more. Click and see some samples.